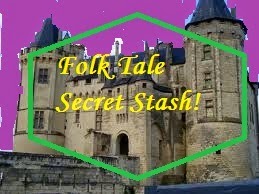 Fairy Tale Fandom: Folk Tale Secret Stash: The Ebony Horse. Folk Tale Secret Stash: The Ebony Horse. Ah, The Arabian Nights! The book that showed the people of Europe that dusky-skinned people had fairy tales too (this may sound unfair to Europeans, but let’s be honest. We’ve all thought it). However, what do most people know about The Arabian Nights aka 1001 Nights? Well, they know there’s Aladdin and Ali Baba and genies and a guy named Sinbad who had seven voyages (some of which were made into movies by special effects wizard Ray Harryhausen). Also, something with a magic carpet. Not sure which story it is, but there is definitely a magic carpet in there somewhere (no, seriously, I don’t know which story it is. Someone leave me a link if you have it). The truth is that 1001 Nights is an anonymous collection of stories that have existed in some form since at least some time in the tenth century, maybe earlier. It has been translated by any number of scholars and authors, one of the most famous translations being by Richard F. Burton. The whole thing is tied together by the story of a woman named Scheherazade who tells these stories to her husband the king in order to forestall her own execution. Along the way, characters in the stories would sometimes stop and make points by telling other stories to other characters (it’s sort of story-ception). How long is 1001 Nights? Well, my abridged version is two rather thick paperback volumes. I thought that was pretty long. Well, according to other sources, the full collection of 1001 Nights is sixteen volumes long! Now, the question is: were the Arabian Nights folk tales? Short answer: maybe. I’ve been looking through Robert Irwin’s The Arabian Nights: A Companion and find that since the book is so old and anonymous it’s really hard to pin down where these stories come from. However, many scholars seem to think these stories have a folk root, so we’ll treat it as such. Anyway, it seems to me that it’s a darn shame that a book 16 volumes long should best be remembered for three stories, so I’m here to shed a spotlight on another. I give you “The Ebony Horse”. The story starts with a king of Persia. This king was good and kind and loved science and mathematics. Also, he had three beautiful daughters. One day, three inventors came to him and offered him gifts. One offered him a golden statue of a little man that could strike enemies dead by blowing on a trumpet. The second offered the king a basin with a golden statue of a peacock and 24 chicks that would peck the head of a different chick on every hour. 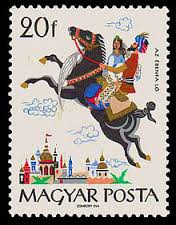 The last offered him a horse made of ebony wood that could carry a man anywhere he wanted through the air. The king was so amazed by these gifts that he gave the inventors anything they wanted. What they wanted was to marry the king’s three daughters. The youngest daughter was less than pleased with this. Apparently, the inventor of the ebony horse was something like a hundred years old and not much to look at. So, the princess complains to her big brother who then goes off to have a few words with his father and her erstwhile suitor. Now, the king tries to explain how a way cool flying horse is a worthwhile reason to marry his daughter off to an elderly man. The prince actually does seem to like the horse and gets on it, but can’t make it fly. So, the inventor is called for. The inventor isn’t happy that the prince is opposed to him marrying a hot, young princess and then tells the prince to push a button so that soon the prince and the horse are flying through the stratosphere. The king is now the one who is not pleased and has the inventor whipped and tossed in jail. This isn’t the end of the prince, though. He figures out the controls and has his own adventure. He falls in love with a sleeping princess (shades of “Sleeping Beauty”), nearly gets killed by an entire army, essentially makes a royal kidnapping and once again runs afoul of the villainous old inventor. It’s actually a pretty long tale and should be read so that you can get the full version. I’ll put a link right HERE. I like this story because I’ve always had a bit of a fascination with the various magical gadgets and items in fairy tales. For once, the gadget is the result of invention rather than sorcery. Also, you must admit that a flying wooden carousel horse is pretty unique. It’s no magic carpet, but not everything can be a flying carpet. The flying rug seems to be a pretty standard piece of equipment, not just from one specific story. Here's what's wikipedia has to say to it: http://en.wikipedia.org/wiki/Magic_carpet - it appears there's something called "Solomon's Carpet" which is something like a prototype. My husband has been reading Arabian Nights (his version has 3 volumes and he is currently on night #150) and I get a big kick out of hearing his summaries of the stories, although, my word, they are rather racy! He hasn't gotten to The Ebony Horse yet, though. I'm glad to see you featuring some Arabian Nights material on your blog, Adam. 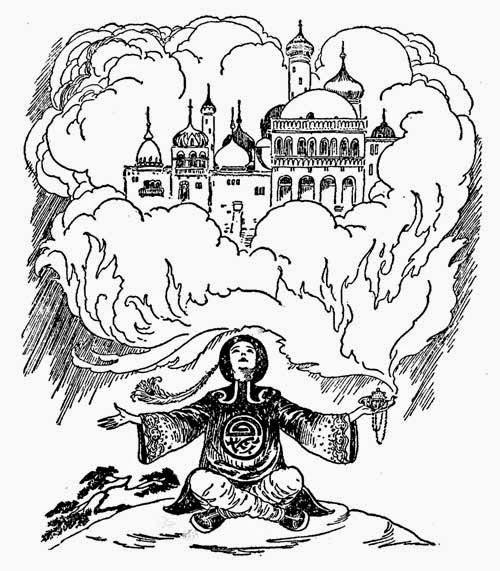 We need more coverage of non-Grimm folklore. I try to cover stories from all over the place. I've spotlighted tales from Germany, France, China, Japan and now the Middle East. I do admit to a weakness for Grimm. There's a heritage connection there, though. I've got a fair bit of German blood in my veins. Red brown streaks adds a dramatic flair to black ebony wood when laminated with other woods and then turned to make different handles and various forms of jewelry. I was looking to find more about Ebony timber suppliers. My Top Seven Cinderella Stories. Four Color Fairy Tales: Brick Fairy Tales.